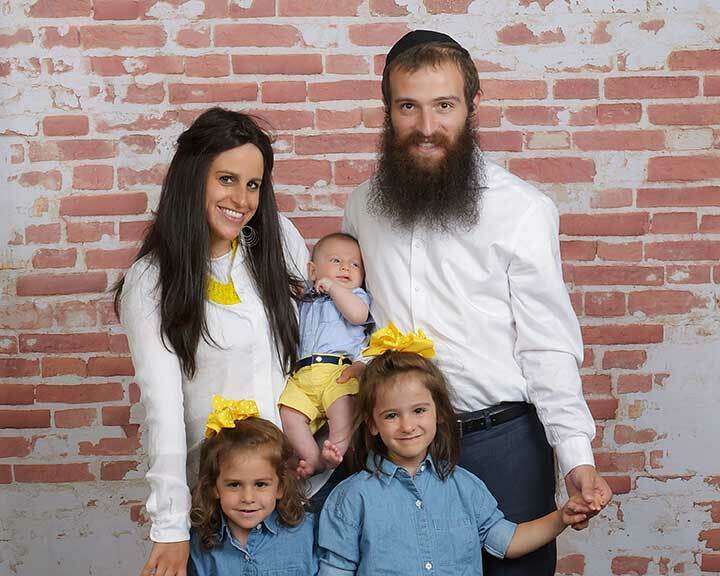 When dating, Rabbi Moshe & Chaya discovered that they shared a dream of impacting a community. Once they were married they looked into communities all over the world but none felt right until they found Fremont. On October 10, 2012, Moshe, Chaya & Baby Shaina boarded a plane to SFO with one-way tickets and never looked back. Once they landed they immediately got to work planning programs and reaching out to the local community. On the way they adjusted to Bay Area Life, learned to buy organic food, and two city people discovered a love of the beautiful outdoors. Rabbi Moshe & Chaya combine their talents and complementary personalities to run Chabad as a team. Rabbi Moshe studied in Europe for 6 years and received his Rabbinical Ordination there. He worked in communities all over the world including Argentina, Brazil, Germany, France, Venezuela, and spent Passover in Azerbaijan. Rabbi Moshe's kindness and deep wisdom has caused him to become a source of advice and comfort for so many. He utilizes his dynamic personality to give engaging classes and imbue traditional Judaism with excitement and relevance. His non-judgemental approach to others makes Chabad a welcoming place for people from all walks of life. Rabbi Moshe is an active member of the Fremont Community. He is a Chaplain at Washington Hospital and Elmwood Correctional Facility. He is a member of the Centerville Business Association and was a judge at this year's 4th of July Parade. Chaya studied in the mystical city of Tzefat, Israel. She worked with communities, in the UK, Michigan, Florida & Orange County. Before she was married, Chaya directed the acclaimed Friendship Circle in Great Neck, NY. Chaya's creativity and warmth give her the perfect tools to plan the innovative and unique programming at Chabad. As an experienced educator she directs the Chabad Hebrew School and gives numerous classes. She tackles each and every project at Chabad with passion and positivity. As Chabad grows Rabbi Moshe & Chaya remain committed to building personal connections with each member of the community. Rabbi Moshe & Chaya's biggest cheerleaders are their children; Shaina, Sarah & Yehuda.